The number of pediatric cancer survivors has increased dramatically over recent decades. Prior studies involving pediatric cancer survivors have reported reduced physical activity and fitness levels. 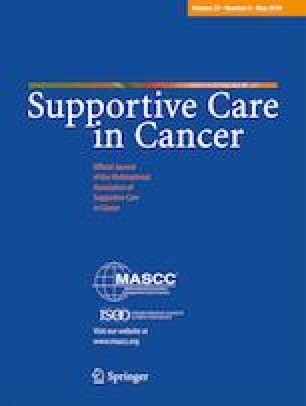 Thus, the aim of this meta-analysis was to synthesize previous findings on physical activity and fitness levels of pediatric cancer survivors, who had completed cancer treatment and are in complete remission compared with age-matched, non-athletic healthy controls with no history of cancer diagnosis. Three electronic databases (PubMed, Web of Science, and EBSCO) were searched using a combination of 24 terms. Observational studies examining the post-treatment physical activity and/or fitness levels of pediatric cancer survivors compared with that of non-cancer controls and published in peer-reviewed, English-language journals before August 22, 2018 were eligible. Random-effect models were used in Comprehensive Meta-Analysis software for effect-size estimations of eight studies for physical activity and eight for fitness. The studies included a total sample of 2628; 1413 pediatric cancer survivors and 1215 non-cancer controls. Both physical activity and fitness were significantly lower in childhood cancer survivors than in non-cancer controls (g = − 0.889; 95% confidence interval [CI] = − 1.648 − 0.130; p = 0.022) and (g = − 1.435; 95% CI = − 2.615 − 0.225; p = 0.017), respectively, with high heterogeneity. Pediatric cancer sequelae and its treatment may limit participation in physical activity and fitness activities by survivors of pediatric cancer. Accentuating the need to incorporate physical activity and fitness into treatment protocols and post-treatment recommendations may improve pediatric cancer survivors’ health and well-being. The online version of this article ( https://doi.org/10.1007/s00520-019-04788-z) contains supplementary material, which is available to authorized users.